This spacious holiday flat is fully furnished with comfy large sofa for relaxing after a days walking in the gorgeous surrounding countryside. 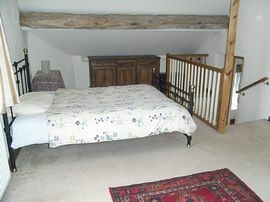 The flat is on the 3rd floor of a Grade II Listed Building and has oddles of character, including beams, open fire etc. Large double bedroom can sleep 2 - additional people can be accommodated by arrangement. Bathroom with shower, large hallway with dining table. Kitchen is equipped with fridge freezer, cooker, microwave and all the pots and pans we think you might need. Stunning views over the surrounding countryside. A great place to stay for a walking holiday or just a base for pottering around the Peak District. Village with shop and 2 pubs. From Longnor Market Place take Chapel Street. Access is situated on the left hand side through a brown door in the wall. 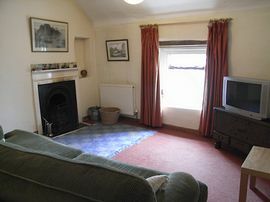 £150.00 for weekend break - 3 nights. Extra days at £20.00 per night.